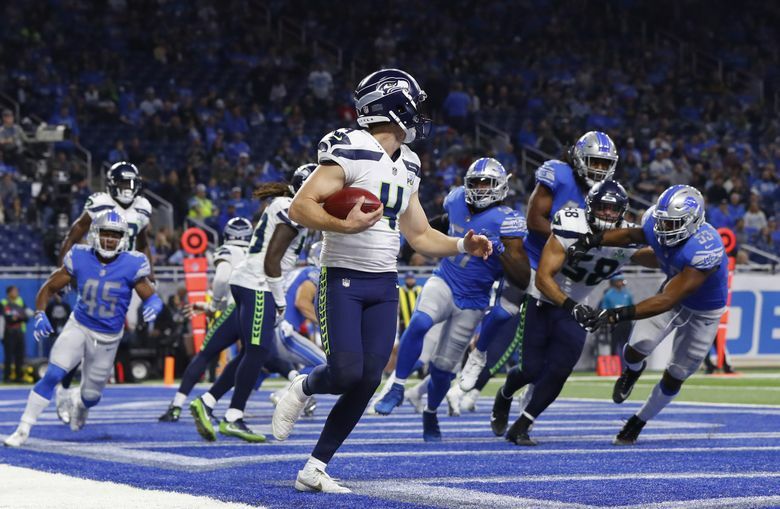 Rookie punter Michael Dickson's fake punt Sunday vs. the Lions cemented two things: 1) The win for the Seahawks; and 2) Dickson's status as the baddest punter in the NFL. "Mike surprised me. I didn't know he had wheels like that," Seahawks guard D.J. Fluker said. DETROIT — You shouldn’t be reading about Michael Dickson in a newspaper or on a website. You should be hearing about him while sitting around a campfire or throwing one back at a saloon. He is less than halfway through his rookie season, but the Seahawks punter already has gone full-blown legend. You already knew what he could do with his foot. The pitching-wedge like spin he puts on balls that land on the 2-yard line. The drop-kick kickoffs he repeatedly employed against the Rams. Shoot, an analytics site said his regular-season debut vs. Denver may have been the best game a punter has ever had, and that he was worth nearly 10 points for Seattle by himself. But those are just trailers for the feature film that was Sunday’s performance in Detroit. Surely you’ve seen the video by now. With the Seahawks up 28-14 in the final minutes of the fourth quarter, Dickson fielded a fourth-down snap in his own end zone, where he was instructed to take a safety. But as he rolled right, he noticed a gap downfield so large that he scrapped the plan, sprinted nine yards, laid his shoulder into two Lions and got the first down. The play cemented two things: 1) The win for the Seahawks; and 2) Dickson’s status as the baddest punter in the NFL. A couple minutes later, I passed Fluker’s praise along to Dickson himself. All other sports quotes from 2018 instantly bowed to their new king. Praise for Dickson’s speed and courage was universal around the Seahawks’ locker room. “They might move him to punt return,” receiver and punt returner Tyler Lockett said. Dickson, for the record, claims to have no fear of getting hurt. Embarrassed, maybe. But not hurt. Remember, this was the guy who made a solo tackle on Vikings returner Chad Beebe in the third game of the preseason. Those are big dudes. What were you thinking when you were running at those guys head on? I don’t know what it is with this town and punters. 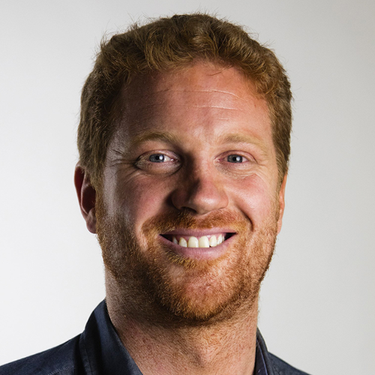 It was hard to think that any city-punter relationship could rival the one Seattle had with Jon Ryan, who was released in August after spending 10 seasons with the Seahawks. But then Dickson comes along, and you’ve got a sequel that may earn more kudos than the original. He’s got the words. He’s got the accent. He’s got the skills. And now he’s got the nickname. Speaking of big ba … actually, that word has been typed enough. Speaking of guts, it took some audacity for the Seahawks to use a draft pick on a punter. But that fifth-round selection is shaping up to be one of the savviest they’ve made during the Pete Carroll-John Schneider era. Dickson has become a budding star on the football field — and a budding legend off it.